Access Control System plays a significant role in the security of an organization. For many years, access controls are considered as a security device which allows authorized personnel enter in a building area. 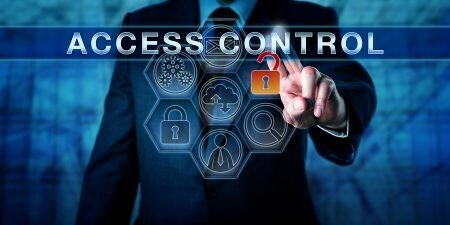 Beyond traditional security, access control systems can help any organization to increase operational efficiencies and reduce cost by enabling integration with a large variety of workforce products and solutions. There are many areas in every office or businesses which needs to kept away in reach of a daily visitor. On the other hand, there are non-commercial facilities as well who have embraced access control technology, including hospitals, schools, universities and government buildings to maintain the high level of security. Along with security of a premises and building, there are many other benefits as well. The first and foremost benefit of any access control system, is that is accurately identifies accurately, either it is biometric or RFID based system. And in biometric access control we all know that biometrics is unique to each one of us, so it is impossible to duplicate or copy. The automated systems available today further make it easier to relate each activity with the respective user on the basis of their biometric identification. This adds to the security of an organization. The greatest feature of Access Control from Secureye is that its scalability. Now the organizations need not to worry about their security and access related issues when their size is constantly growing. The access control devices are easily scalable and flexible allowing the growing organizations to expand and secure premises without much trouble. Apart from providing security to the building of an organization, these devices also help to provide exact data of employees whoever accesses those devices. As soon as anyone scans their biometric/RFID cards, the system is prompted to record their time and employee details. This report will help you in any case of mis-happening. Or also you can use it for just record management of employees. The Access Control systems an easily be integrated with other system like HVAC systems or fire alarm systems pre-installed in the building. Hence in case of emergency, it allows access to everyone and opens the door automatically. For businesses with multiple locations or campuses, access control systems will make it easy for all the managers and employees to traverse from one building to the other or place to place without any problems. This is a better solution than having multiple physical keys for different offices for every employee. Hence, implementation of access control from Secureye not only serves the purpose of security but also provides many other benefits which could be a fair deal at the end of the day. Secureye provides access control solution for your needs and also Hotel locks which provides you added security. We have implemented access control systems in many hospitals, schools, colleges and official buildings.